Using hundreds of photos, this book illuminates and explains the complex markings found on American WWII paratrooper helmets. 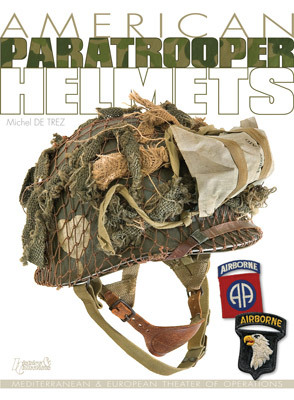 In this book, the author has agreed to open up the showcases and the reserves of D-Day Experience Museum in Normandy to present this compendium of American paratrooper helmets. 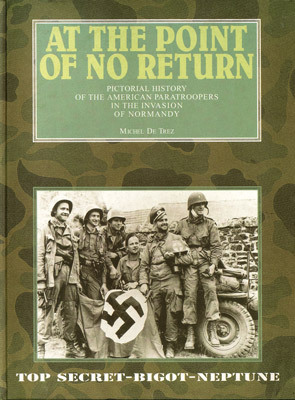 This study, the first made of the various helmet markings, stands out from other books of its kind by the quality of the collection presented and by the unpublished photos unearthed from among the veterans’ possessions, providing the author with the pictorial testimony needed to illustrate the book. Even for the most initiated readers, he will no doubt have kept a few surprises up his sleeve and will delight all amateurs wanting to improve their knowledge.